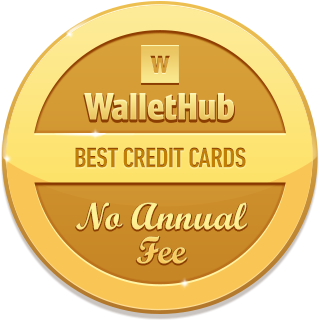 To help you find the right card for your needs, WalletHub’s editors compared 1,000+ offers in search of the best no fee credit cards for rewards, low interest rates and high approval odds. We also identified the best student and small business credit cards with no annual fee. You can find an overview of our selections below. Continue reading to learn more about these offers. You can also compare them to the market’s best overall credit cards to make sure you’re getting the best deal. And if you don’t know what type of credit card you can get approved for, you can check your latest credit score for free on WalletHub, too. 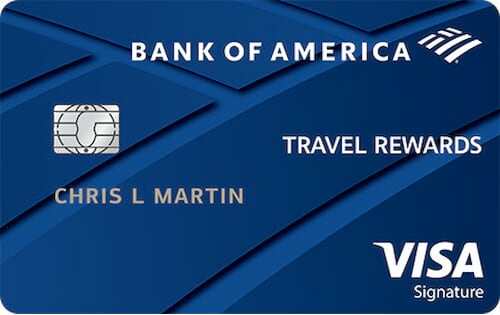 The cards listed below stand out because they offer solid rewards in the form of points, miles or cash back. We typically recommend cash back rewards, as they are the most straightforward and cannot be devalued by credit card companies. But the key is to find a card with high earning rates in your biggest expense categories that will allow you to redeem on a regular basis. It’s also important to note that all of the cards listed in this particular category require at least good credit for approval. If you have fair, limited or bad credit, check out our picks for the Best No Annual Fee Credit Cards For Credit Building. show less The best credit cards with no annual fee will save you more than $17 per year, compared to the average credit card. And you’ll save as much as $995 per year relative to the market’s most expensive offers (some cards are from WalletHub partners). But the best no annual fee credit cards bring a lot more to the table than just low costs. Some offer miles, points or cash back, for example. Others give you 0% APRs on purchases, balance transfers or both. And many don't charge foreign transaction fees, either. This is the best everyday credit card on the market. It offers 1% cash back on every dollar you spend, plus another 1% on every dollar in bill payments that you make. And with no annual fee to eat away at earnings, you’ll be able to quickly reduce the cost of your monthly bills rather than saving up points or miles for a vacation that may never come. 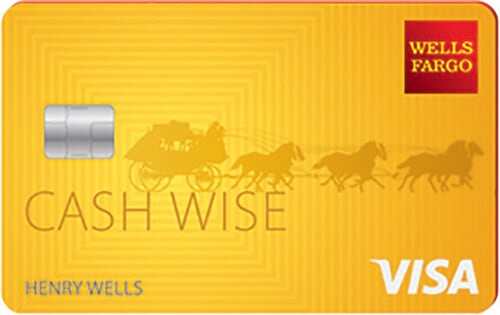 The Wells Fargo Cash Wise Visa® Card is the best bonus cash back credit card with no annual fee. It offers a bonus of $200 for spending $1,000 within three months of opening an account, plus 1.8% cash back on mobile-wallet purchases for the first 12 months. All other purchases get you 1.5% cash back. And the Cash Wise Card, of course, has a $0 annual fee. 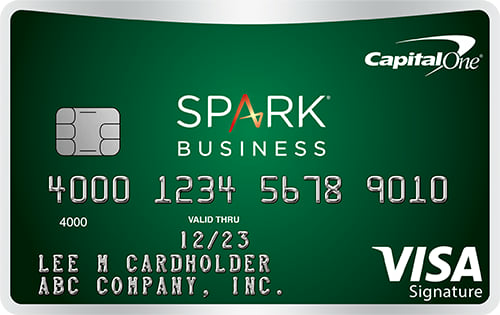 This card offers 1.5 miles per $1 spent, which is the equivalent of 1.5% cash back. 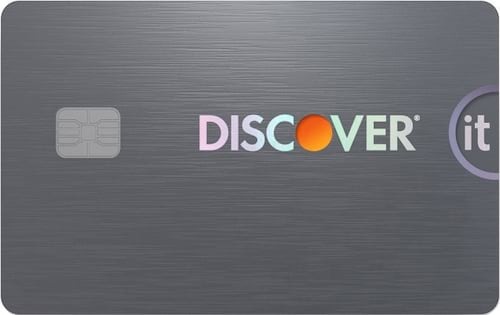 Plus, Discover will match whatever you earn the first year your account is open. There is no foreign transaction fee. If you have expensive credit card debt or an upcoming big-ticket purchase, you’re in luck. The best 0% credit cards typically don’t charge annual fees. This allows you to focus on getting the longest possible 0% intro term and the lowest possible regular APR. All of the cards listed in this category require at least good credit for approval. Low interest rates aren’t usually available to people with below-average credit. That’s especially true of 0% rates on cards with no annual fee. 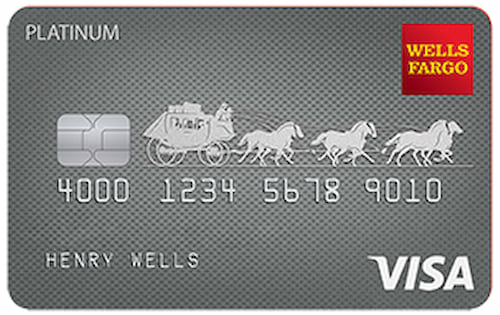 The Wells Fargo Platinum Visa has a $0 annual fee and a great interest-free offer: 0% for 18 months on purchases and qualifying balance transfers (13.74% - 27.24% Variable APR after). It does not have the lowest balance transfer fee, though, at 3% for 120 days, then 5%. 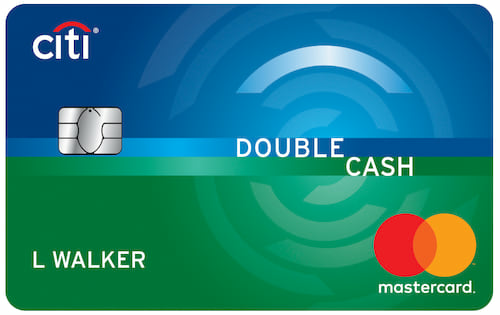 This is one of the best balance transfer credit cards on the market because it has a $0 annual fee, a $0 balance transfer fee for the first 60 days, and an intro APR of 0% for 15 months on balance transfers. 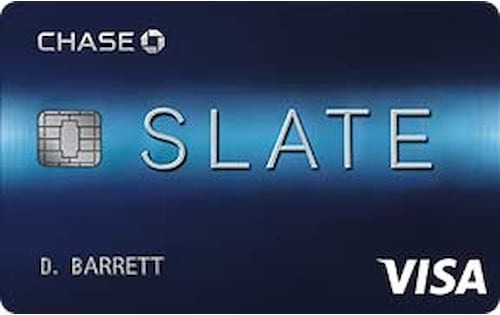 Chase Slate also offers 0% for 15 months on new purchases. Most student credit cards are no annual fee credit cards. That makes sense, after all, considering that college students usually don’t have much money. Credit card companies also want to get on their good side because students have relatively high lifetime earning potential. Business credit cards, on the other hand, tend to be more expensive than their general-consumer counterparts. 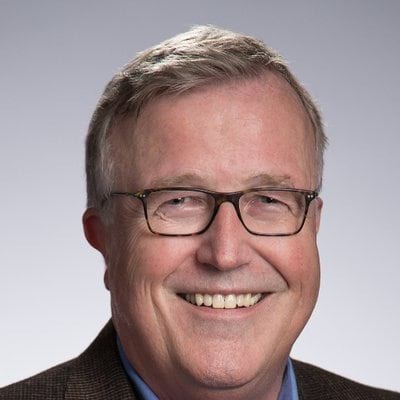 In other words, students can expect a more difficult decision between no annual fee credit cards, while business owners may need to consider paying up for better rewards. 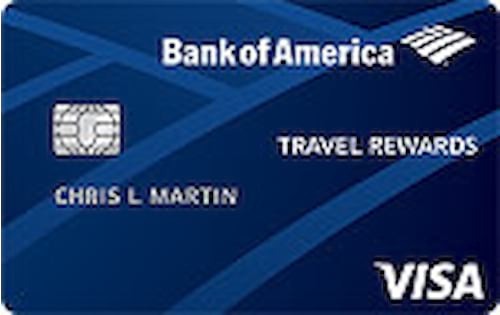 Despite accepting applicants with limited or no credit history and not charging an annual fee, the BofA Travel Card for Students provides a lot of rewards value. Apply online and spend $1,000 in the first 90 days your account is open, and you’ll get 25,000 points – redeemable for a $250 travel statement credit. 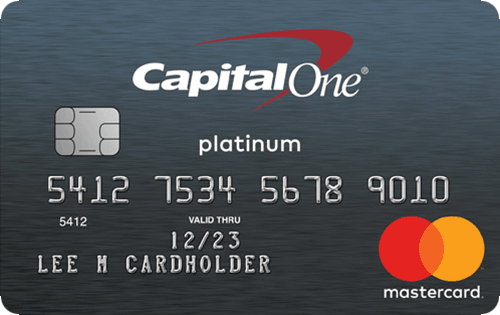 Cardholders also earn 1.5 - 3 points / $1 in rewards on purchases, with extra available to BofA banking customers. There’s no foreign fee to worry about, either. 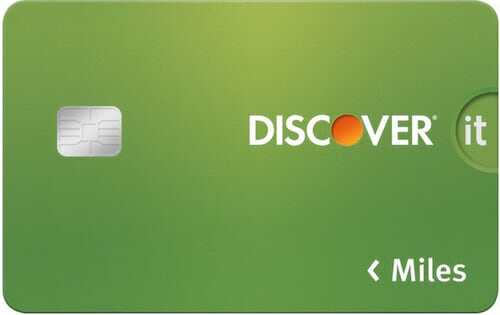 Discover it® Student chrome gives 2% cash back on up to $1,000 spent at gas stations and restaurants each quarter and 1% back on all other purchases. Plus, Discover doubles all the rewards you earn the first year as an anniversary bonus. You can also score even more rewards by maintaining a good GPA. There’s no annual fee or foreign transaction fee. 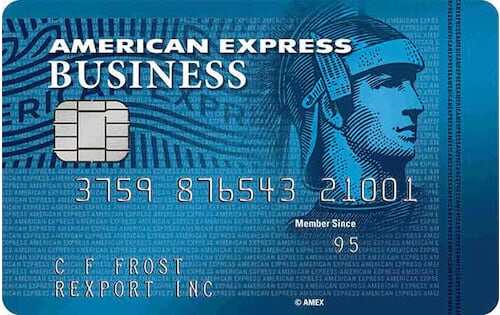 The SimplyCash® Plus Business Credit Card from American Express offers a lot to like, particularly 1 - 5% Cash Back in rewards and an introductory purchase APR of 14.49% - 21.49% (V). The rewards are even more appealing than you might at first assume. You get 5% cash back on up to $50,000 spent per year at U.S. office supply stores and through U.S. wireless telephone providers, combined. You also get 3% cash back in a category of your choice, from a list of eight options on up to $50,000 spent per year. All other purchases produce 1% cash back. Plus, it’s worth reiterating, there’s no annual fee. A $200 initial bonus (for spending $3,000 within 3 months from account opening), 1.5% cash back on all purchases and no annual fee are hard to beat. If you’re trying to build credit from scratch or rebuild a damaged credit score, two things are essential: getting approved and paying as little as possible. That’s why we recommend focusing on no annual fee credit cards and always paying your bill in full. It’s also why we suggest placing a refundable deposit on a secured credit card if you do not get approved for an attractive unsecured offer. 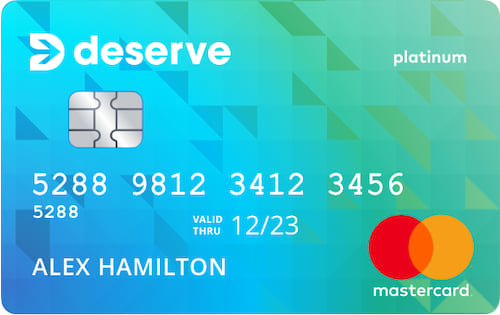 The Deserve® Classic Mastercard has no annual fee, no foreign transaction fee and no rewards. It also has no problem approving applicants with limited or no credit history. The first and last of those attributes should be most important to credit newcomers, which is why this is an elite starter card. This card isn’t flashing, offering no rewards or 0% rates. But it doesn’t charge an annual fee, either. And that’s about all you can ask for at this point in your credit career. 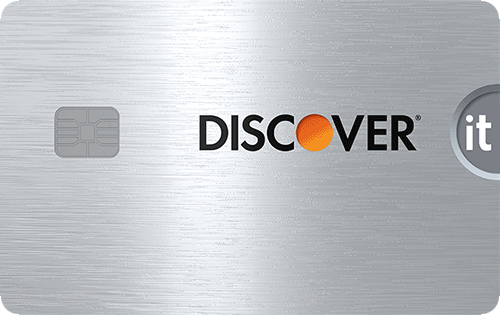 As a secured credit card with rewards and no annual fee, Discover it® Secured does not have much competition. It gives 2% cash back on the first $1,000 that you spend at restaurants and gas stations each quarter, 1% cash back on all other purchases, and a cash-back match at the end of the first year. You just have to place a refundable security deposit of at least $200. This is what’s known as a partially secured credit card. That means your spending limit may exceed the amount of the refundable security deposit that you are required to place. Cardholders may benefit from both access to an emergency loan and the safe, inexpensive credit-building capabilities for which secured cards are known. Still not sure a no annual fee credit card is right for you? Confused about other credit card costs? Don’t worry; you’re not alone. Credit cards are complex, and the sheer number of available offers can be paralyzing. With that in mind, WalletHub’s experts have some pointers and rules of thumb to ease your mind and lighten your wallet’s load. “No Annual Fee” Does Not Mean “Free” – Annual fees tend to stand out, perhaps because they’re presented in dollar terms rather than as a percentage of what you spend or owe. But they are just one of many potential credit card costs. You can always expect to be assessed finance charges when you carry a balance from month to month, except during 0% introductory periods. And most credit cards will hit you with fees for transferring a balance or making international purchases. Annual Fees Shouldn’t Be a Deal-Breaker – There’s more to the market than no annual fee credit cards. And you can wind up missing out on a great deal if you get tunnel vision. So cast a wide net to start. And consider all applicable account terms to get an accurate sense of how much a given card will cost or save you relative to the competition. The Less Experience You Have, the More You Need a No Annual Fee Card – It’s usually worth paying for better credit card terms only if you have good or excellent credit. For lower credit levels, fees are used more to offset risk than encourage spending, especially since credit lines tend to be low. And since you aren’t likely to reap any added benefits for paying extra, it’s best to save as much as possible at this point in your credit career. This will help bolster your financial position and increase the odds of your credit standing continuing to improve. Rewards vs. Low Rates Depends on Payment Habits – You shouldn’t get a card just because it’s pretty good across the board. That likely means it excels in none. So just ask yourself this question instead: Do I pay my credit card bill in full every month? If the answer is yes, focus on rewards credit cards with no annual fee. Cash back rewards are best for most people, but if you travel regularly, points and miles could provide higher earning potential. If the answer is no, a combination of the right 0% credit card and perhaps some habit changes are a more apt prescription. Whether this is a card offering 0% on purchases or balance transfers depends on how much debt you currently have and whether there are any big-ticket expenses in your near future. Pay Annual Fees for 0% Rates – Unlike the best overall rewards credit cards — which often charge annual fees to promote purchase activity and offset rewards program costs — the best 0% cards don’t typically levy yearly charges. This is likely in recognition of the fact that people who are interested in reducing the cost of either current or future debt probably lack the appetite, not to mention the cash, to foot such bills. Regardless of the underlying reasons, however, this information is important because it will help you put offers into context and ultimately make the right decision. 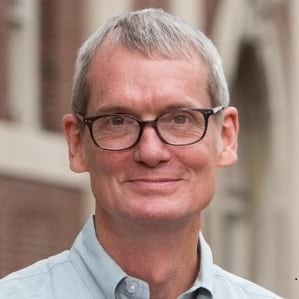 No Fee, No Pressure to Get Your Money’s Worth – People who have credit cards that charge annual fees often feel a sense of obligation to spend more than they would otherwise. It’s kind of like continuing to eat despite not enjoying the food, simply because you want to get your money’s worth. Opening a no annual fee credit card isn’t the only way to solve this problem. 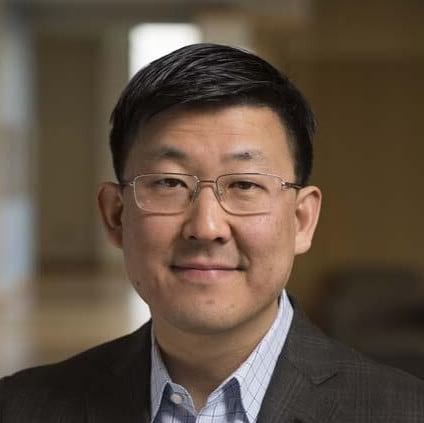 But it will enable you to enjoy the credit-building benefits of a credit card while making everyday purchases with a debit card, prepaid card or cash, if that’s your preference. A No Annual Fee Credit Card Is the Ticket to a Long Credit History – One of the most important reasons to get a no annual fee credit card, especially if it’s your first credit card, is that you won’t have to close your account once you graduate to another offer. Closing an account could effectively shorten the length of your credit history, which accounts for about 15% of your overall credit score. If you’re not sure how your credit score is doing these days, you can check your latest score for free on WalletHub. There are lots of no annual fee credit cards out there, so finding the right one can be tough. Complicating matters further, the best no annual fee credit card may or may not be the best credit card for you overall. And once you find the right card, you actually have to go about using it responsibly. To help you with all of the above, WalletHub posed the questions below to a panel of personal finance experts. 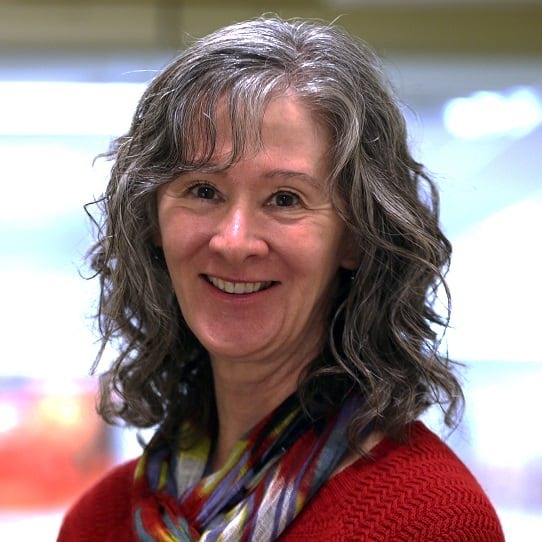 Check out who they are and what moves they recommend making. What tips do you have for someone looking for the best no annual fee credit card? What’s the biggest mistake people make with no annual fee credit cards? Should consumers be suspicious of credit cards with no annual fee? 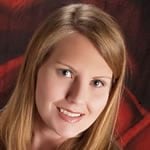 To identify the best credit cards with no annual fees, WalletHub’s editors compare more than 1,000 credit card offers. We begin by identifying and removing from consideration any credit cards with annual fees, monthly fees, or one-time fees for application processing. Hundreds of no annual fee credit cards will remain at this point, as most credit cards have no membership fees. We therefore consider other factors – with an emphasis on rewards, low interest promotions and approval requirements – to further whittle down the pool of available options and find the best credit cards without annual fees in several of the most popular categories. To better evaluate card terms based on the needs of the target audience, we use spending data from the Bureau of Labor Statistics to project how much each card may save the average user. 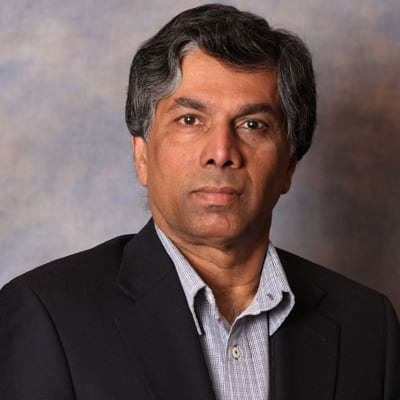 Our editors' recommendations for the Best No Annual Fee Credit Cards are a reflection of their own subjective opinions, and they should not be relied upon as the sole basis for choosing your financial product.